Tours from First Class Charter & Tours tend to sell out - travelers recommend booking in advance! 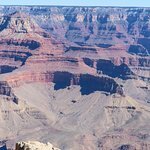 BEST GRAND CANYON Tour - You’ll NOT Ever Regret! From the moment I spoke to Peggy, the Office Manager, I knew we would be in the best hands for our personalized tour! Worth every penny, this amazing privaye tour began at our 7:30am hotel pickup (hotel reception rang us at 7:20am saying our guide was ready). 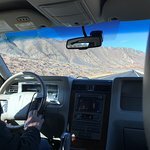 When we got to Reception, We met Ken, who escorted us to an impeccably clean and comfortable Lincoln Navigator for my daughter’s and my trip up to the Grand Canyon from Sedona/Poco Diablo Resort. All throughout the drive, Ken imparted his vast knowledge of Arizona history, wildlife and horticulture. Complimentary bottled water and the wonderful lunch at El Tovar resort at the Grand Canyon were included In the tour. We stopped for a welcome stretch and restroom break both ways, and got some souvenirs and postcards :) At the Grand Canyon, Ken shared how and why each of the vista stops Made was a special place and added some personal color also about some trips up where a couple were (secretly) engaged, got married, and about some of the hiking trails — although we did not go on as I had a torn tendon and wore an orthopedic boot. 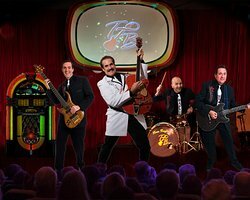 Ken took some wonderful photos of us as well as some panoramic shots with us Both in Which are keepers! I said to him how appreciative I was that we had he benefit of a tour driver so I could really take in all...From the moment I spoke to Peggy, the Office Manager, I knew we would be in the best hands for our personalized tour! Worth every penny, this amazing privaye tour began at our 7:30am hotel pickup (hotel reception rang us at 7:20am saying our guide was ready). 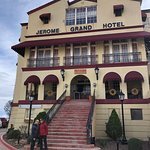 When we got to Reception, We met Ken, who escorted us to an impeccably clean and comfortable Lincoln Navigator for my daughter’s and my trip up to the Grand Canyon from Sedona/Poco Diablo Resort. Made was a special place and added some personal color also about some trips up where a couple were (secretly) engaged, got married, and about some of the hiking trails — although we did not go on as I had a torn tendon and wore an orthopedic boot. Ken took some wonderful photos of us as well as some panoramic shots with us Both in Which are keepers! I said to him how appreciative I was that we had he benefit of a tour driver so I could really take in all the scenery and enjoy the entire tour, and not come back exhausted from the trip and driving. It’s an experience we both enjoyed immensely and that’s saying a lot for a teenager also ;-) she was highly impressed about Ken and the entire tour despite her feeling unwell from an oncoming cold. Thank you very much for the wonderful review. We are thrilled you traveled with us and enjoyed the trip. It is so important to us for our guests to have the very best experience. Our guides are knowledgeable and make every attempt to share as much information with the guests as they can. We would love to have you and your daughter return to Sedona and make another journey with us! Kent was a terrific guide and offered us a very personalized experience. 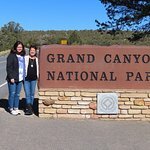 We traveled to Antelope Canyon and then to Grand Canyon. Great conversation and knowledge of the destinations. 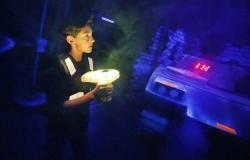 We had a great experience and highly recommend! We are so pleased you enjoyed your excursion with us. First Class Charter would like to thank you for traveling with us and taking the time to write a review. We will pass along your review to our guide and he will certainly appreciate it. 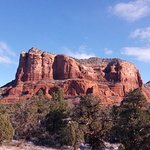 If you are in the Sedona area in the future we would love to offer you another tour with us. Possibly a wine tour would interest you? Just let us know and again thank you for touring with First Class Charter! 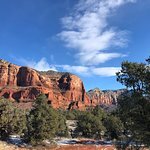 Thank you for traveling with me around Sedona, it was nice to spend a day with you and your wife ! I hope that you will return to Sedona and take a trip with us to Antelope Canyon and Monument Valley also . 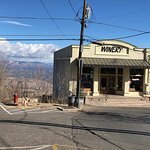 After reviewing several options, my companion & I decided to schedule short 4-hour tour of Sedona, then adapt a wait & see for our remaining two days in Flagstaff area. 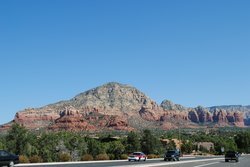 Marco (owner) and Robert Dakota (guide) picked us up in a nice SUV (Lincoln Navigator) at the time promised and then we headed to Sedona. When booking, I mentioned that we were amateur photographers and very interested in getting some great shots. They did an amazing job delivering us to the best spots. Since we did the afternoon session after a long drive getting to Flagstaff, we were able to get sunset shots over Sedona. Wow! On the ride back to Flagstaff, we decided to book the day-long Grand Canyon tour. Robert was our guide & driver. He was amazing with his knowledge of the region, history & native peoples. Knowing our interest in seeing as much as possible he added the Watupaki national landmark at the beginning of the tour which was something I hadn’t considered to be an option. With only two of us, we were able to move quicker when needed or linger for extra reflection when wanted. Then we went to the Grand Canyon, entering the northern gate of the south rim. We hit all the photographic hot spots. The tour included lunch at the El Tovar but because Robert adjusted to our schedule, when we arrived at the restaurant they had stopped taking names for lunch. (Note: it appears at both the lodges, meal reservations are first come, first serve, so that may be a consideration in your travels.) We ate lunch at the Harvey House Cafe, which was good. Bottled water & snacks were provided on all tours for us. Then we continued on our adventure, visiting more hot spots on the south rim, before ending the day in the position for sunset shots over the south rim. 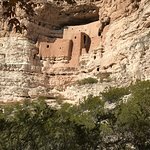 The third trio was back south to Sedona where Montezuma’s Castle & Well were the highlights for me. This was a bucket list trip for me but one thing is certain. If I ever return, First Class Charter & Tours will be my first call. Thank you so much for this wonderful review. We are very pleased you enjoyed your time with us. 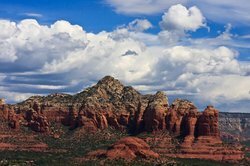 We would love you to return to Sedona and travel with us again. Happy New Year to you and your family. 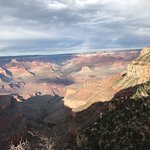 We travelled October 25th from Sedona to the south rim of the Grand Canyon. Richard was our driver and he called the day prior to our trip and we finalized pick up time and other details and he promptly picked us up at our hotel on time in a new and very well maintained Lincoln Navigator. 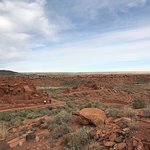 Richard was a great tour host and in addition to being extremely knowledgeable he was very accommodating and we were able to create a bespoke tour of the canyon. As advertised we enjoyed lunch at the El Tovar hotel (included in the cost). I can't say enough good things about this experience including the communications with the office to arrange the trip. Small, exclusive and worth every penny! Thank you Richard and Michael for creating such a wonderful and memorable experience for us. If you want the best, First Class is the way to go. "Few things are as enjoyable to me as sharing this magnificent, beloved landscape and it's vast natural / human history with my guests! Thank YOU for a great day!" First Class Charter Tours was exactly that! First Class. Marco arrived for our pick up promptly at 7:00 AM. The SUV was impeccably clean and luxurious. Marco greeted us with a huge smile and we hopped in the vehicle. Immediately, we felt relaxed as he was very personable and it was evident that he wanted us to be comfortable and enjoy our trip. We journeyed from Sedona to Page. 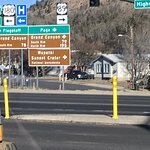 Our first stop was a Trading Post to take a little break and stretch our legs. Marco suggested we take our time, there was no rush. Second stop was a long hike to Horseshoe Bend. Marco offered to take some photos of the two of us. It was beautiful there! We ventured on and stopped in Page for a delicious Texas BBQ lunch. Then on to the pick up area for our tour of Antelope Slot Canyon. This was not only a beautiful place, but a memory we will carry in our hearts always. 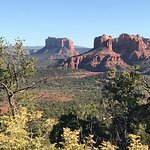 Our trip back to Sedona was very relaxing and our conversation with Marco fun, lively and interesting. It was a pleasure to meet Marco and tour the beauty of Arizona. Book with First Class Charter and Tours, you will be glad you did. Dear Jim & Audrey thank you for going on tour with us. 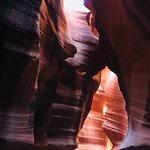 I am glad you enjoyed your day, Page area and Antelope Canyon are indeed a special places. 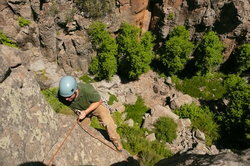 Next time you visit, I will show you more of Northern Arizona's special places. Thank you for the nice review ! Maybe we will see at the Rodeo !! !